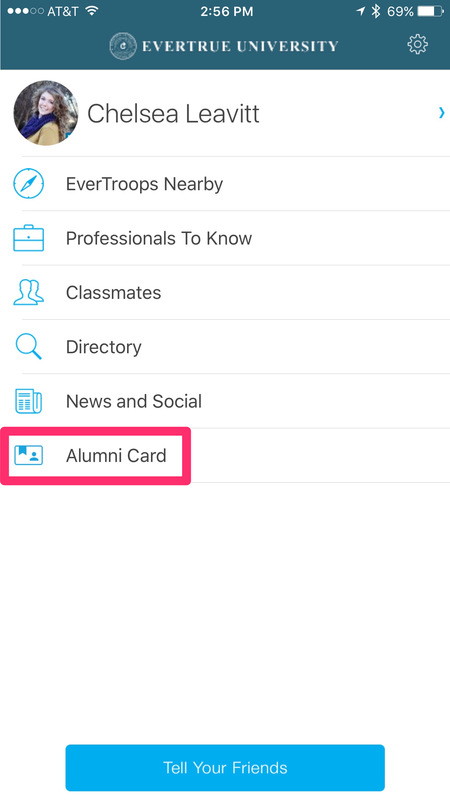 In the app, your alums can now access a fully branded card with their name and alumni ID. Often these alumni cards are used for discounts or access to things around campus. Now those benefits are always at their fingertips! 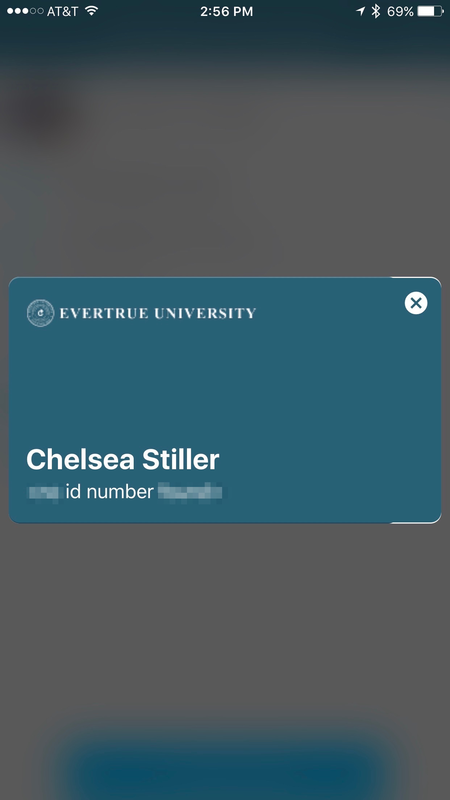 If your institution is interested in enabling this feature, just reach out to genius@evertrue.com! Note, the ID displayed on the card will default to the constituent ID imported for each record. If you have another ID that you'd like to use, you'll want to add that as a custom field in your data file and let us know so we can make that adjustment. *Currently only available on iOS devices.